for a special event or participated in a makeup lesson. All reviews come from Google, Facebook, WeddingWire, The Knot or Yelp. Reviews are greatly appreciated and we like to showcase them. If you would like to write a review of your experience with Face Time with Daniela, please click on one of the buttons above. If you are a regular Yelp user, you can search "Face Time with Daniela" and our page will appear. For my (new) husband and I, one of the biggest factors we were looking for when searching for wedding vendors was responsiveness. 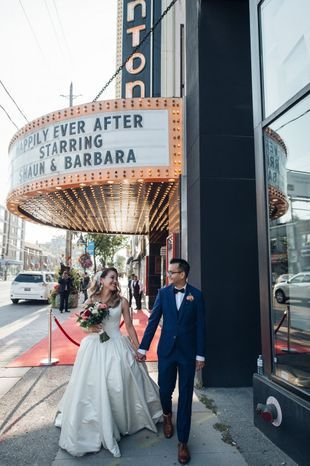 You could hire the fanciest stylist and most well-known makeup artist in Toronto, but what if they take 10 days to reply to your email or only give you the time of day a week before your wedding? That might not be a problem to some couples, but it was to us. It actually took awhile for us to find a makeup artist in Toronto who a) didn't have certain demands regarding travel, packages, etc., b) didn't take 5 days to respond to us, c) actually showed genuine compassion and interest in their work and craft, and for their client. I met Daniela a few months before our wedding, and knew she was the one! Out of over 20 makeup artists in Toronto that I contacted, she was the only one who suggested an in-person meeting to talk about my wedding. Honestly, I can't even express how much I appreciated that. She came to our meeting prepared, actually took the time to take notes and understand what I'd be wearing, the look and style I was going for, etc. I knew from the very start that, with Daniela, I was in very good, talented, and responsible hands. And as a bride, trust in your vendor is so key - and I trusted Daniela fully! On our wedding day, Daniela came early and prepared, and was totally unfazed when my mom changed her mind about what she wanted. She is the epitome of creativity, talent, and professionalism. And most importantly - I loved the look she gave me on our wedding day! She can do so many types of looks, and can totally diversify if you ask her to. Show her a picture of what you want - and she'll replicate it. She is so incredibly talented, and you absolutely can't go wrong with choosing her to do your makeup, for whatever occasion, wedding or otherwise! Thank you so much, Daniela, for being a part of our wedding day! Her service is an experience beyond 5 stars. This is ridiculously long overdue, but I owe Daniela a HUGE thank-you for making my bridesmaids and I look absolutely stunning on my wedding day--for the ENTIRE day. I had been convinced during our trial that as a bride, I should sport a natural/pink lip even though darker/bolder colours work better with my skin tone. Closer to my day, she took the liberty of creeping my Instagram and suggesting a bolder berry colour that she'd seen me wear in one of my photos. I'm so glad I went with her suggestion because it looked absolutely gorgeous in the photos, especially against my perfectly airbrushed skin. This just goes to show that how well this super talented artist really listens to what you want, but is willing to make suggestions you might not have considered in order to really highlight and accentuate your features. Thanks again for your wonderful work, Daniela! I received a lesson from Daniela and it was amazing. I love applying make up and wouldn't call myself a novice but I wanted to see if I was missing something from my routine. 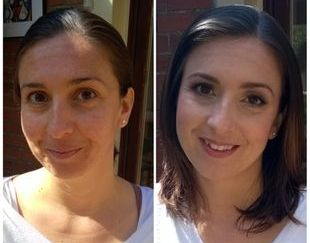 I love easy natural looking make up and that's exactly what Daniela applied. I was able to pick up on trends I was neglecting and learned a few more techniques that are amazing and easy apply. She did a fantastic job and my pictures kept looking amazing for the rest of the day. Would strongly recommend for events and lessons if you want to refresh your look and make up application. Daniela was amazing! She was fast, flexible and very pleasant to deal with. I have a very oily skin texture, and her products/technique were so impeccable, that my make-up looked fresh from the ceremony right upto the last dance. I received so many compliments on how great the make-up looked. Best part - no breakouts whatsoever!! That's a huge win for me, because my complexion still looked good for the honeymoon pictures! I would highly recommend Daniela, not only for her amazing talent, but also for being a very calming presence on the big day. I found Daniela on Yelp and, given her great reviews, chose her for my wedding makeup trial. She did a wonderful job with my makeup and took the time to figure out my skin needs, as well as the general look I was going for. Very detail-oriented, it is clear that she is a perfectionist and very experienced when it comes to make-up. My make-up lasted for well over 12 hours and felt comfortable on my skin. She also recommended products for me to try given my skin concerns and needs. I would definitely recommend trying Daniela for a flawless professional makeup job! Daniela was awesome! 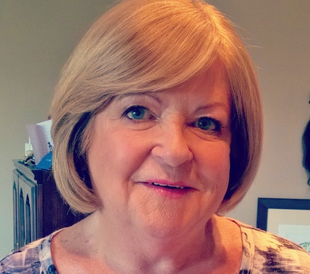 She is very warm and friendly, she listens to what you want and does amazing work! I had Daniela do mine and my four bridesmaids makeup for my wedding in July and we all looked amazing all day. Even though we were outside and it was super hot our makeup stayed flawless all night and I felt beautiful. I'm very happy I found her! Daniela is amazing. She helped make my wedding day special. She is patient, humorous and so very good at making people look their very best. one of my sisters had a bad experience with make-up before her sons wedding. The person put far too much makeup on and she went home and took it all off. She was thrilled with what Daniela did! My other sister never lets anyone take her picture. She did not mind after Daniela applied her light natural looking makeup . 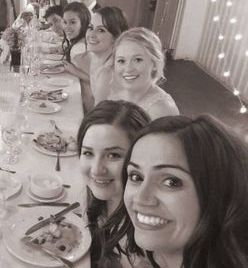 Thank you Daniela for making my entire wedding party look so beautiful!! Daniela was absolutely amazing . She listened to what I wanted and I looked amazing . She used good quality products and my make up lasted all day . She is definitely my go to makeup artist now forever and I would recommend a her to everybody I know. Daniela is spectacular! I wanted a natural make up look for a wedding I was attending and her work was beyond my expectations. From the start, Daniela was friendly, professional and welcoming, not only did she take an interest in my make up but me as well. Her work will leave you with a flawless look; making you feel like your most beautiful self! I highly recommend that you book with Daniela - you will not be disappointed! Daniela was amazing! She was really friendly and very professional. I had her doing my make-up and a bridesmaids and MOB. We all looked beautiful. There were 2 days of events and the makeup looked great and lasted for both days. I had so many compliments on my makeup. Daniela did the great job on my special day and on my make up trial day for the pre wedding photoshoot. She was professional,on time and did the make up quick and I was very happy with the outcome. I had a private make-up lesson with Daniella about a month ago. The session was very hands on and informative, with all of my questions answered with ease. A month later I am still using the techniques daily to create a more polished look. I recommend this lesson to anyone who wants to learn more about make-up application and products. Daniella was super kind during the session and I even reached out to her after to ask her opinion on products - she replied promptly and helped me out. Great make up artist. Daniela makes you feel comfortable and she had true passion for her job. She did my engagement makeup twice..absolutely loved the look! Thank u! Daniela was lovely. She came to my place to make things easy on me, and was super accommodating with what was a last-minute request from me. She did an amazing job at a subtle look (as requested) and was just all around super pleasant to hang out with. My girlfriend (the bride!) and I went to Face Time with Daniela in November to learn some wedding makeup tips. We honestly didn't know what to expect as neither of us had done anything beyond the department store makeup counter trials. Daniela instantly put us at ease and was very personable. She explained everything to us - her techniques, products, brushes, cleaning, skin treatments etc. 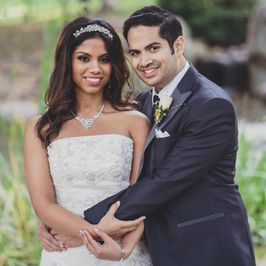 Daniela is very knowledgeable and passionate which helped build my confidence in the bride's makeup application. Both the bride and I are excited and feel secure that we will be able to do amazing makeup for this destination wedding! Thank you Daniela! I receive a makeup class with Daniela and it was great! She is a very kind, patient, always in time, in summary she is great. The makeup would be very professional, natural and beautiful. Daniela did my makeup for the Miracle Gala in Toronto, a black-tie charity event. I was really concerned about looking overly made-up or clownish- anyone who has gotten their makeup done at MAC knows what I am talking about. My fears were unfounded, because Daniela nailed it! My makeup was flawless- she did a fantastic job of enhancing my features, making me look polished instead of painted. 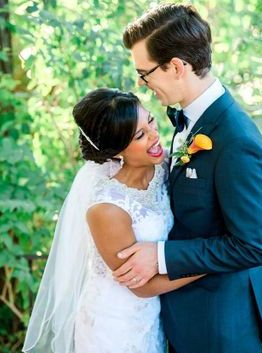 My husband told me that my makeup has never looked better- including on my wedding day! I will definitely use her for my next event in Toronto! Daniela did my make-up for my wedding. I found her via yelp as she lives conveniently directly across the street from me, but she does mobile work too and quite frankly was well worth travelling for! My make-up looked beautiful and I had loads of compliments about it all day. Daniela even gave me my own tube of touch-up gloss to go, so that I could keep myself looking fresh all day. She has a great set up with fabulous lighting and she did my make-up in a beautiful, natural look. She's also a very warm person and great conversationalist, even managed to make me forget I was getting married in several hours and I felt quite calm after. I went to see Daniela when I was in Toronto and asked her for help to put together a basic 10-minute make-up routine. She was fantastic! I highly recommend Daniela's services!! My mother and I contacted Daniela for a tutorial in order to be able to do our own makeup for my low-key wedding. The lesson was comprehensive, easy to understand and at the end we were given low budget product suggestions. Plus, we left looking fabulous! I HIGHLY recommend Daniela, not just for brides, but also for a lesson on how to properly accentuate your features day-to-day. Daniela did my makeup for my engagement photo session and did such an amazing job! She turned me, a very plain Jane type of girl, into a really natural, yet much better improved version of who I am. The makeup looked amazing on camera. Daniela really knew how to play up my best features. The makeup application was done carefully, with much attention spent on all the detail. Also, Daniela is just such a great person to chat to, and really made me feel at ease with the entire process. I highly recommend Daniela and will definitely be using her services again! Daniela was very professional and did a fantastic job! Daniela was incredibly helpful during the appointment. She is knowledgeable, talented, and charismatic. During the Perfect 10 Makeup Lesson, she was open to talking about additional make-up concepts (converting a daily look to an evening look). Definitely made the everything about make-up seem a lot easier. I’m nearly 30 and never had the confidence to wear makeup other than blush and powder. Every time I ventured into wearing something like eye shadow or foundation I felt silly - not because I don’t like makeup, but because I was applying it the wrong way. I decided to seek professional help and came across Daniela’s website. She immediately responded to my e-mail and we booked an appointment that same week. Daniela created a customized, everyday look for me that went perfectly with my skin tone, eye shape, etc. Not only did she show me the right techniques, but also sent me a list of every single product and brushes that were used and where I could purchase them. I’m so pleased with her class that I’m meeting her again tomorrow for the “smokey eye” tutorial. I’ve now discovered all the fun and versatility that makeup can provide thanks Daniela’s excellent class! Highly recommended. I booked an appointment with Daniela after doing a search online for make-up artists. I found a few, but I chose Daniela because of her openness and transparency with which she communicates. I was intimidated at first, never having studied makeup artistry and wondering if she really understood how to work on brown skin tones (as I have had my make-up done by MAC, Clinique, and CTV, and walked away disappointed after each encounter). I'm also an artist and am very particular about perfection; however, I found that Daniela put me at ease once she started to display her skills by working on my skin. She was very gentle, patient, and not at all intimidating as I imagined makeup artists would be. As a courtesy to me, Daniela meticulously created a list of products customized to what would personally suit me and emailed me every time I had any queries. She guided me so well that I went back a week later just to make sure I had perfected what she had taught me. Now that I've learned a thing or two about doing my own makeup, I don't feel so overwhelmed as I used to when I would sit beside someone who wears makeup, but instead I find myself sighing a breath of relief that I’ve decoded the mystery. Daniela is a beautiful woman inside and out! I took the '10 minute makeup' class and learnt great techniques especially how to use different brushes. Daniela also introduced me to a variety of great products but her philosophy is "less is more" which is what makes her an amazing artist. She works and teaches from her heart and that reflects in the results. I highly recommend the class if you want to learn quick techniques to compliment and celebrate your face! She's a fantastic teacher. Looking forward to our next workshop on "smokey eyes". 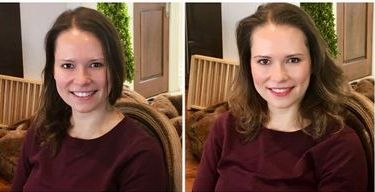 I recently had a Perfect Ten makeup lesson with Daniela, and I can't recommend her highly enough. She clearly has a lot of training and skill and is a fantastic teacher; she explains everything thoroughly,demonstrates lots of techniques and shows you everything you should probably know about makeup but were afraid to ask. The lesson was fabulous and I will certainly be booking more. Thank you so much Daniela. Daniela did my make-up for me as I was the maid of honour for my best friend's wedding this summer. She did an amazing job! I hardly ever get my make up done professionally and it was a great treat! I felt that I looked natural and beautiful. It was just the right colour pallet for the dress I was wearing and my skin tone. In addition many people also commented on what a great job she did. I highly recommend Daniela's services! She is very talented, professional and personable. Daniela is incredibly professional and brings out the best in her subjects. I have had the pleasure to have Daniela do my make-up for several weddings and have nothing but great things to say. She knows how to work with your best features and enhance them. Her skill at mixing foundation is inspiring and she has a great eye for picking the right lipsticks. She is priced so reasonably. I have recommended her to everyone I know and would hire her for any event I have! I been through a number of makeup trials to find the right makeup artist for my big day and when things seem to all go for the worst, I was recommended by a friend to try Daniela and I'm glad I did. I almost never wear makeup so I didn't really know what worked for me and what didn't. I left everything up to Daniela and just advised her the colors (other than my white dress) I would be wearing on the day of. I was a little hesitant when she described what she had planned for me, but I was incredibly surprised! I loved the trail look and of course I booked her for the day of. Daniela was awesome at following up with me on everything! I was undecided if I wanted to do engagement photos or not, but when I did decide to, I just so happen to receive an email from Daniela inquiry if I would need her to do my makeup for the shoot, which of course I did and it was just as great as my trial. Throughout the months until my wedding day, Daniela had always been on top of things and was willing to coordinate with my hairstylist (which was awesome). She always send thank you email and reminded me that the wedding date is soon and confirming the time/date, number of people needing makeup to be done, etc. In addition to just hiring Daniela for the makeup the day of for my girls, mother and myself, I decided to hire her for majority of the day to touch-up my makeup so that I looked perfect all day. Daniela did advise that the makeup she used would last all day, but being a nervous wreck, I insisted on having her stick around, which she was happy to do so. Needless to say, she was right, the makeup did last, she still touched up my makeup and everyone's makeup/lipstick throughout the day even though the touch-up throughout the day was actually just for me, but she took the time to do everyone else's without extra charge. Daniela did an awesome job and everyone (bridal party, mom, everyone @ the wedding) was pretty impressed. Summary - Daniela is great! Always on time, does an awesome job, prices are surprisingly reasonable for the work she does.